We also have a free web resource for teachers in developing countries, which is accessible on feature and smart phones. We met with UNESCO (Visit their website) to discuss offering our SEND courses in developing countries, in support of their Education for All goals. Their advice was that a free general teaching skills resource, accessible on feature and SMART phones, would be more useful. The Golden Teacher takes teachers through a step-by-step process of formative assessment that enables them to design, deliver and evaluate a learning experience for a student or students. 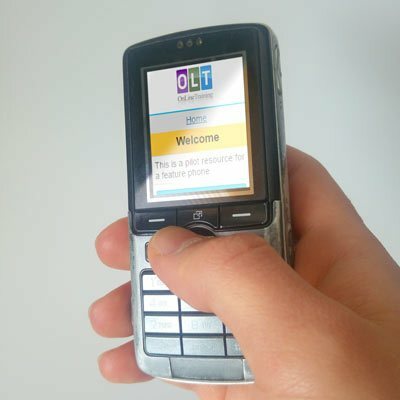 The Golden Teacher is a web resource for teachers that’s designed to work on basic web-enabled feature phones and smart phones. The delivery platform was chosen, following advice from UNESCO to make it accessible in developing countries. The GT takes teachers through a step-by-step process of formative assessment that enables them to design, deliver and evaluate a learning experience for a student or students. It has been developed in the English language in the first instance. Users progress through stages in which they plan (bronze), implement (silver) and evaluate (gold) a teaching programme. Bronze is achieved when SMART goals are set, silver – when these goals are met, and gold – when students have consolidated the learning after a four-week period. The strategies introduced can be found in Principles of Instruction, one of a series of educational papers published by the International Academy of Education (IAE). They are evidence-based, having been identified through a meta-analysis of research conducted by the Sutton Trust in the UK.